The U.S. Food and Drug Administration (FDA) recently granted fast track approval for the biologic, targeted cancer drug pertuzumab, known by the brand name PerjetaR, to treat HER2-positive breast cancer before surgery. The drug had previously been approved last year to treat late stage, HER2-positive breast cancer. Additional larger clinical trials to confirm the results of the initial trials of the drug as well its safety and long-term outcomes use are currently underway, with final results expected in 2016. This is the first drug that the FDA has approved for use for HER2 positive disease before surgery for breast cancer. The goal is to offer patients with this more aggressive form of breast cancer a treatment option that may delay the development of cancer. It also has the potential to lower the risk of the cancer’s return, though this has not yet been proven in a clinical trial. In addition, treatment before surgery may shrink tumors and make them easier to remove and potentially spare breast tissue. Who may benefit from this new treatment option? This new drug is approved only for the treatment of HER2-positive tumors, which make up approximately 20 percent of breast cancers. HER2-positive cancers include a protein called human epidermal growth factor receptor 2 (HER2), which promotes the growth, spread and survival of cancer cells. A gene mutation allows the cancer cells to produce an overabundance of HER2. This type of breast cancer tends to be more aggressive than other forms of the disease and is often less responsive to hormone treatments like tamoxifen and other drugs that block estrogen from binding with cancer cells and prevent it from helping the cells grow and divide. Treatments that specifically target HER2, however, can be effective treatments. PerjetaR has been approved for use before surgery for women with HER2-positive, locally advanced, inflammatory or early stage breast cancer who are at a high risk for having their cancer return or spread or who are at high risk of dying from their cancer. Of the women who took part in the trial, 39 percent of those who received Perjeta with Herceptin and docetaxel had undetectable levels of cancer in both breast tissue and lymph nodes after treatment. In comparison, only 21 percent of those who were treated with Herceptin and the chemotherapy drug docetaxel achieved undetectable levels of cancer cells. All of the women in the trial underwent surgery to remove their tumors after the pre-surgical drug treatment. Both Perjeta and Herceptin block the HER2 protein’s ability to send signals that instruct cancer cells to grow, but they work in different ways. Perjeta blocks the protein from pairing with other HER receptors and sending growth signals. It is engineered to attack only cells with an excess of HER2, which can help spare healthy cells. Herceptin works by attaching itself to the HER2 receptors on the surface of breast cancer cells and blocking them from receiving growth signals. In this way, researchers believe that a combination of these drugs creates a stronger blockade against HER2 signals that may slow down the growth of cancer cells. There are some concerns that Perjeta may decrease heart function, a side effect that the new clinical trial, which includes nearly 5,000 women, will examine. The drug regimen of Perjeta plus Hercpetin is projected to cost from $27,000 to $49,000, depending on how long the course of treatment is. With FDA approval, however, there is an increased likelihood that some insurers will cover the cost of the new drug. Another key aspect of your breast health strategy should be getting a mammogram on the schedule recommended by your physician. 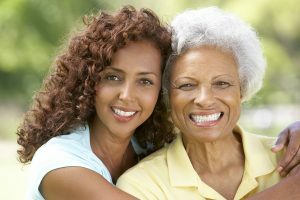 Women at higher risk for breast cancer, such as those with a close family member who has been diagnosed with the disease, may benefit from beginning screening mammograms earlier. Early detection of all breast cancers is important because the disease is more treatable at this stage.